SPID rotators are medium to heavy duty antenna rotators in the same general class as the HyGain TailTwister or Yaesu G-1000/2800DXC but with advanced digital features. Mechanical complexity is reduced to a minimum by utilizing a simple double worm gear drive system. Position readout is sensed by a rugged magnetic reed switch, giving a real resolution of 1 degree. The controller has a full complement of features, including digital readout, software control and integrated computer interface (USB). Because it is able to emulate Hy-Gain, Yaesu and Orion control units, is it compatible to almost any software. Controller features may be easily upgraded in the future with a plug-in PROM. Rotors need an external power supply of 12 to 24V DC, 12V-supply being very suitable for portable use with somewhat reduced torque and increased revolving time. Rotating torque of RAS/RAK is around 350Nm (3,200 lb-in), with 24 volts to the motor. This is significantly more than any other rotator in the same price range. The BIG-RAK and BIG-RAS rotators have an even larger rotation and brake torque and are intended for really large antenna systems. With the double worm drive and the same magnet sensor as the RAK/RAS models the BIG versions have the same resolution of 1°. The new smaller RAU rotor is intended for smaller antenna systems for VHF and shortwave. 360 degree revolving time 24/12V version: 60/120 sec. Measured without controller because the solenoids in the controller can't take the high currents at these high torque forces. RAK/BigRAK: Applicable for easy constructions as for example yagis or heavy short wave antennas. RAU: for smaller antenna system for VHF or shortwave. Mechanical parts consists of worm gear with worm and wormwheel, made from steel (as shown on the picture), guaranteeing long, continuous work and high reliability. The advantage is the possibility of alignment of worm and wormwheel holding down, what makes possible to eliminate side play in driving gear, which can appears after long usage time. The surface is painted with anti-corrosion paint. Turning Torque and brake torque are depending on operating voltage (12 - 24 V). The RAS rotator is an extra heavy-duty rotator designed for large satellite antennas and comes complete with an electronic control unit. The rotator is designed to be mounted pipe to pipe or on an optional adaptor plate for conventional in-tower mounting. 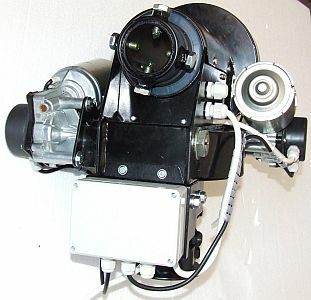 It can also be mounted outside of the tower on the mast, or used in a side mount configuration. Controller with two independent digital readouts for Az and El. Output for motor and Impulse. Projection of 180 maps (on mouse click). 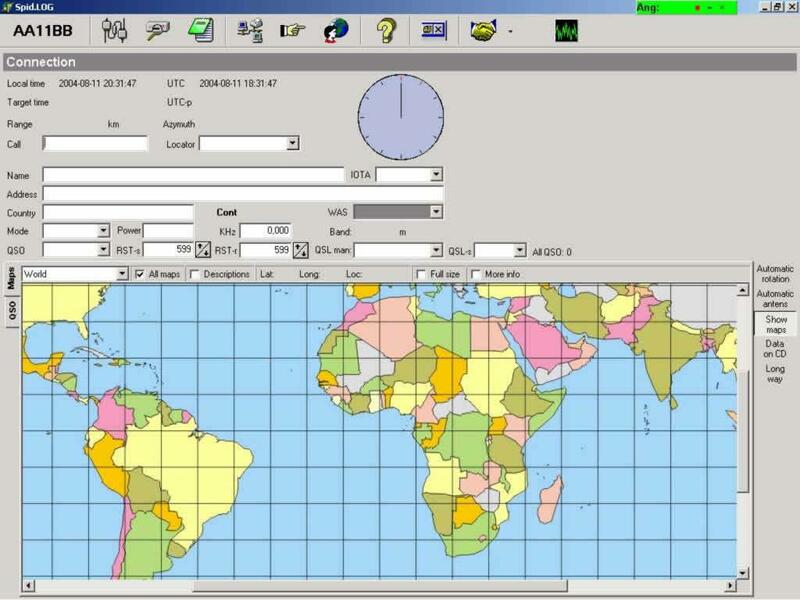 Transmisson option: manual sending data (angle) to Rotor control unit or automatically work with other short wave software. The rotator has an operating range of a total of 720° (-180° to +540°) 2 Electronic sensors reliably transmit the position of the antenna. The two motors are supplied with separate voltages. For the azimuth/elevation operating an optional 4-pin cable is required. For the position sensors you need a optional 8-pin cable. The rotor requires a supply voltage of at least 13.8V, although we recommend using the optional AC adapter PS-01. The new controller MD-01 now has a variety of settings that can be configured by the user. By default, the controller comes with COM0, COM1 and USB port (the USB driver is on the manufacturer's site available). Optionally, it can be expanded with a RJ-45 network port. The coupling of multiple control devices is now possible. The previous screen has been replaced by an LC Display on which all settings are read fast and clearly. The controller can be completely remote controlled! 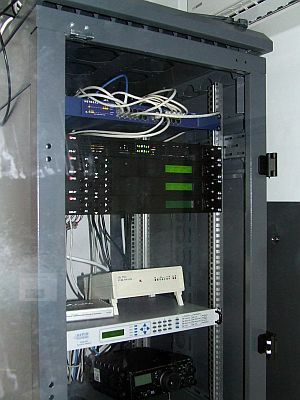 With the optional network interface card, the controller can be operated without extra computer. The new 19" design of the controller along with the rest of the periphery can placed in a cabinet. The PS-01 power supply is suitable for the BigRAS HR with the MD-01 control unit. The power supply provides 2 different voltages (15V for the controller / 24V for the rotator). At this power supply due to the generous dimensions of the output power (1000W) may also be more like 1 controller/rotator operated. The power supply has several protection circuits. Among other factors, a temperature of 50° starts additional fans for optimum cooling. A protection circuit against over-voltage is also integrated. The power supply unit is supplied complete with connectors. Used when installing the rotator on a platform or in a tower, suitable for models RAK, RAS, BigRAK, BigRAS. Not suitable for model RAU. Tube outer diameter 60mm, inner diameter 53mm.